An estimated 6 million dogs and nearly 6 million cats will be diagnosed with cancer this year. 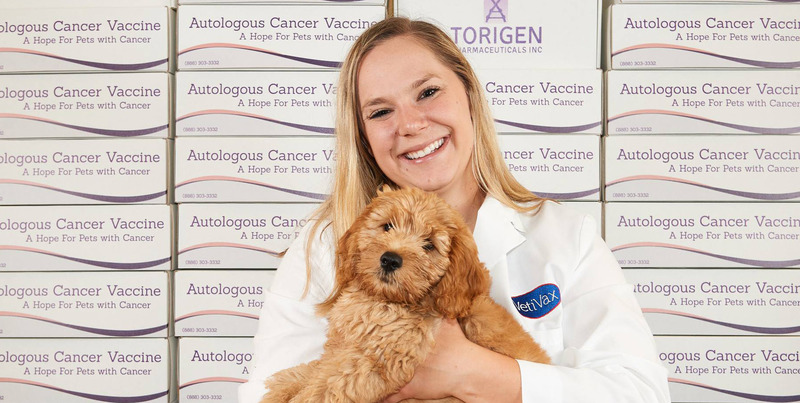 Connecticut-native and UCONN alumnus Ashley Kalinauskas is working on a new, personalized treatment that offers new hope and helps pets and their owners fight the disease. Determined to use her passion for the sciences to help others, Ashley founded Torigen Pharmaceuticals – a startup that resulted from her graduate thesis project. Torigen focuses on providing veterinary cancer care solutions for companion animals. Torigen’s first product uses the patient’s own tumor cells to create a personalized treatment to fight the disease. With over 50% of companion animals over the age of 10 dying from cancer and with other treatment modalities being both expensive and having negative side effects, Torigen offers an innovative new treatment that is quickly gaining traction with veterinarians across the country. Join Ashley to learn more about her journey from child science enthusiast to CEO, and take a look into this revolutionary new treatment for veterinary cancer. Ashley is the Founder and CEO of Torigen Pharmaceuticals, the result of the research of former University of Notre Dame professor Dr. Mark Suckow. Ashley grew up in Vernon, graduated from UCONN in 2012 with an undergraduate degree in Pathobiology and furthered her education with the ESTEEM Master’s program at the University of Notre Dame. Ashley was named an Emerging Pharmaceutical Leader in 2017, 2018 Connecticut Women Entrepreneur of the Year, winner of the 2018 Million Dollar Woman Pitch Competition, and Torigen’s technology was named the 2018 top Animal Health Innovation. Ashley is focused on making a difference in the lives of pets and their families, and loves snuggling with her dog, Dave!